I know I haven’t been posting many recipes lately. The world of gluten-free, casein-free cooking is a bit of a labyrinth. Seems like everything I cook these days is highly experimental, full of substitutions and too uncertain to share here. Some days I am a little overwhelmed, some days my mind is filled with the possibilities rather than the limitations; and some days I just want to curl up with a simple bowl of soup, especially considering we have all been knocked out with nasty colds in the last week or two. The base of any decent soup is the broth, and I finally got organized enough this week to try my hand at beef bone broth for the first time. 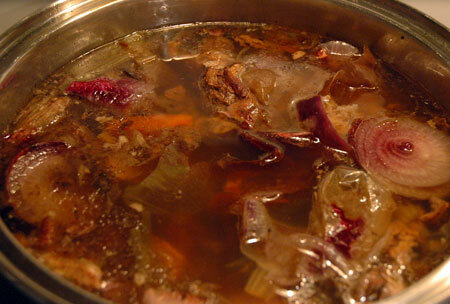 I used marrow and neck bones, and browned them well in the pot before adding the water, veggies, seasonings, and vinegar. It simmered for about 30 hours before I strained it off for use in my soup. 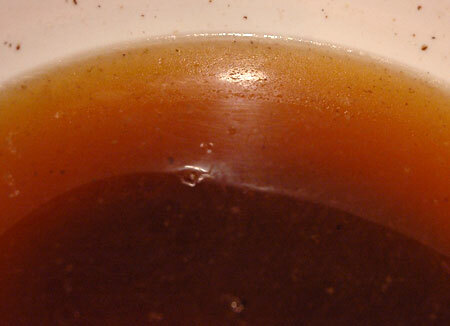 The photo above actually shows a second batch of broth getting started from the same set of bones, along with some fresh carrots and onion trimmings. My dad is still fighting off bronchitis and, although my own energy level is back to normal, I make sure to keep tissues and Alkalol close at hand. When my nose was at its worst, with sinuses completely swollen shut and feeling full of concrete, the only thing that seemed to help me start breathing again was a big skilletful of onions and garlic sauteing on the stove for dinner. So French onion soup with homemade broth sounded like the perfect solution to all our ills. Only problem: I don’t do soggy bread. The recipe I chose solves that issue handily by substituting a cheese flan for the crouton and adding a handful of toothsome barley for texture. Honestly, I wasn’t convinced that a flan in my soup would be much preferable to soggy cheese-bread, but I made mine with Gruyere and they turned out to be incredibly delicious little flavor bombs adding excitement to an otherwise basic soup. 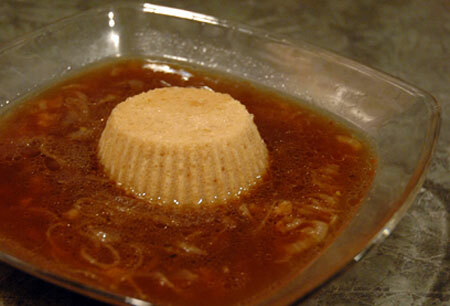 If you really miss the bubbly cheese aspect of French onion soup, you could probably sprinkle a little grated cheese on top and torch it, but I honestly thought this soup was perfect as-is, and I will probably make a habit out of it every time I pass the marrow bones in the freezer case from now on! You really should go to the extra trouble of making beef stock from scratch for this recipe, since there are so few ingredients in the soup. Using a mandoline to slice the onion helped me save time and tears. For our small family, I cut the flan recipe down by a third, using 1/2 C cream, 2 eggs, 2/3 C onions, and about 3/4 C Gruyere; I blended it in our Magic Bullet, and divided it between 6 silicone muffin liners. 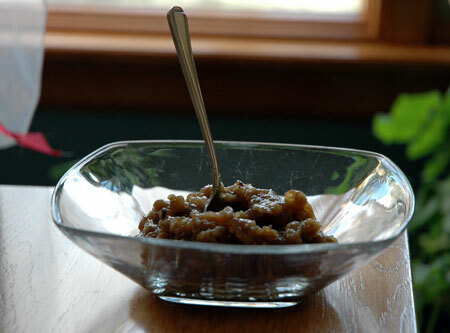 Finally, to save time, you can also cook the barley separately in few cups of the beef stock before adding the lot to the onion mixture; or omit it entirely for a gluten-free meal. For flans: Preheat oven to 300°F. Place six 3/4-cup custard cups or soufflé dishes in baking pan. Melt butter in heavy medium skillet over medium heat. Add onions; sauté until tender but not brown, about 8 minutes, then cool slightly and transfer to blender. Add cream, eggs, salt, and pepper; blend until smooth. Stir in cheese. Divide custard among prepared cups. Fill pan with enough hot water to come halfway up sides of cups. Bake flans until centers are softly set, about 30 minutes. French Onion soup is a favorite of ours when the sniffles hit our house. I too have a strong dislike for soggy bread, even the melted cheese is a turn off for me. My answer is a fantastic grilled cheese sandwich (rustic bread and 4 cheeses) on the side…mmmm…delish! !